Established in 2011, Heating the Midwest represents more than 200 industry, government, non-profit, university and tribal organizations committed to increasing awareness, education and outreach for heating with biomass in the Midwest. We promote thermal biomass to a large constituency, including government policy makers and entities, institutions, municipalities, businesses and consumers. Increase awareness and recognition of the benefits derived from biomass thermal energy. Develop clean energy policy that includes clean and efficient biomass thermal energy. Grow demand for biomass-based thermal fuels and heating systems/CHP in the Midwest. Support research, technology innovation and demonstration throughout the biomass thermal supply chain. Expand funding opportunities and programs to support the development and installation of biomass thermal/CHP projects. Heating the Midwest is driven and directed by a Steering Committee, and Action Teams carry out specific initiatives important to Heating the Midwest’s mission. With representatives from industry, universities, non-profit organizations and tribes, the Steering Committee meets monthly via teleconference to discuss current and future initiatives, including the annual conference and expo. If interested in joining the Steering Committee, please contact HTM Leadership. Be connectors for biomass stakeholders in the Midwest. Assist in developing market opportunities for biomass in the Midwest. Look for ways to reach consumers directly with Heating the Midwest’s vision and messages, especially areas of the region with the highest concentration of fuel oil and propane usage. Identify education/outreach opportunities to increase visibility of Heating the Midwest within the stakeholder community. Identify opportunities to work with like U.S. and European entities to develop outreach/educational materials and curriculum for schools as a means to increase knowledge of biomass heating. If you’d like more information about Heating the Midwest’s Action Team activities, please contact the respective team leader via the email address listed above. He or she can fill you in about the team’s work, goals and offer suggestions about getting involved. In addition to Action Teams, other teams form within Heating the Midwest to organize specific events and lead initiatives as they are needed. Examples are the Heating the Midwest Annual Conference Team and State Representative Teams. HTM is affiliated and engages with NEBTWG (Northeast Biomass Thermal Working Group), BTEC (Biomass Thermal Energy Council), and PFI (Pellet Fuels Institute). Many organizations and individuals have supported the mission of Heating the Midwest in various ways. 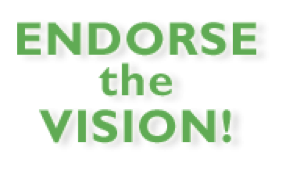 Some have provided financial support by sponsoring the annual conference or making a donation, others have volunteered their time and talents to Heating the Midwest, and many have endorsed the Vision. Thank you to each and every supporting organization! Click here to join the HTM email list to receive biomass thermal news and updates. Do you have personal or professional interest in growing awareness for renewable thermal biomass heating in the Midwest? There are many ways to get involved and support the mission of Heating the Midwest. Show your support by endorsing the HTM Vision that by 2025, 15% of all thermal energy (energy to produce heat) in the Midwest will come from renewable energy sources – 10% from sustainably produced biomass and 5% from solar thermal and geothermal sources.